Cancellation Watch: Does Agents of SHIELD Need Some Marvel Superheroes to Help Fend Off the Evil Supervillain Nielsen? ABC’s Agents of SHIELD slipped yet again in the ratings on Tuesday to a 2.7 rating in the 18-49 demographic with 7.4 million totals which now puts it a full two ratings point below where it started just over a month ago. Its numbers where they stand are still not that bad, and could still win it a second season if it does not sink further. But the trend we have seen in the past few seasons with broadcast network sci fi shows that start out very strong then start to drop is that the decline continues throughout the season and usually has them on the bubble or worse by the time the networks are deciding their schedules for the coming year (I will be looking at this trend in more detail in an upcoming post). 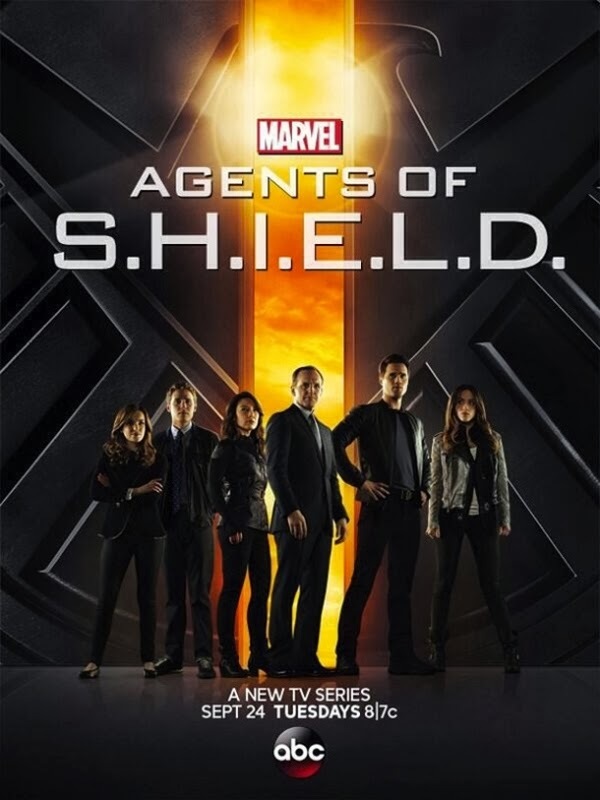 So does Agents of SHIELD need a few superheroes to come in and tackle the super-baddy that is the Nielsen ratings? Well it sure wouldn’t hurt. The Thor sequel hits the theaters in two weeks and I was wondering if they might try to do some crossover with that one. It would be great to get a Thor cameo appearance in the series, and a call-out to the show from the movie would be pretty awesome as well. After that, maybe they need to start bringing in some named Marvel superheroes to re-invigorate interest in the show. Obviously the big ones like Spider-Man, Iron Man, the Fantastic Four, etc. are already spoken for by the movies, but Marvel has a huge stable of heroes that the series could still draw from (please not Squirrel Girl, though). We have already seen a few super-powered characters show up, but some recognized names would be nice to help bolster those sagging ratings. Keep an eye on the numbers for now, but this one is definitely no lock to a second season at this point. Also on Tuesday, The CW’s The Originals slipped a bit to a 0.9 rating in the 18-49 demo with 2.2 million total viewers, which still keeps it at a decent level for the fifth place network. In the next hour, Supernatural edged back up a tick to a 1.1 rating with 2.3 million total viewers as that one continues to enjoy its best numbers in several years. Over on CBS, Person of Interest remained steady at a 2.2 rating with 13.2 million total viewers. It seems to have found its level for this year and will probably hang around these numbers for most of the season. On Wednesday, NBC’s Revolution leveled off its decline, though it’s still pretty low at a 1.4 rating in the 18-49 demo with five million total viewers. Though it had to contend with Game 1 of the World Series, so remaining steady might actually be considered a small win for the show. Over on The CW, Arrow slipped down to a 0.9 rating with 2.9 million viewers while The Tomorrow People dropped to a 0.7 score with 1.9 million total viewers. These possibly took a ding from the baseball game, so we will see where they stand next week. To close out the night, FX’s American Horror Story slipped down to a 2.1 rating with 3.8 million total viewers. It may have been impacted by the game as well, but its numbers are still well above its first two seasons, so it is riding along comfortably for now. A few other notes: My earlier post from this week reported Monday’s Beauty and the Beast numbers at a 0.6 rating in the 18-49 demo with1.7 million total viewers which represented a very positive upward swing for that show that could have gotten it to a level where fifth place CW might consider keeping it around. However, that was based on the preliminaries and there must have been a error with those numbers (no, Nielsen never makes mistakes) and the finals dropped the show back to a 0.3 rating with only about 800k total viewers. So this one is still smack dab in the danger zone and could find itself booted from the schedule by mid-season. Also, FOX’s Almost Human from J.J. Abrams was originally scheduled to have its bow a week from this coming Monday, but that has been changed. Instead, it will debut Sunday November 18th after football then take up its scheduled Monday 8 PM EST timeslot the next night. The thought is to benefit it from a strong lead-in from the game which should help its premiere. But then viewership typically drops off once the holiday season starts the following week, so you have to wonder if this is really going to help the show in the long run. Keep an eye on this site, though, for the early numbers.